Hireserve ATS is trusted by in-house recruitment teams to automate, streamline and strengthen their hiring processes. Hireserve ATS is a stand-alone Talent Management and Applicant Tracking System, designed specifically to meet the needs of in-house recruitment teams. Are you looking for a highly configurable and powerful ATS? Delivered by a trusted recruitment technology supplier with 20+ years experience? You’re in the right place. When you use technology like Hireserve ATS, you need to know that you’ll have specialists by your side. Recruitment software is nothing without the human touch. As a Hireserve customer, you’ll have a point of contact every step of the way. We’ll guide you through new processes, update you on enhancements and new features, take on board your ideas and support you if you run into an issue. Keen to attract employee volunteers? Download our new guide to learn how to attract staff volunteers and secure internal buy-in for an Employee Volunteering Scheme. 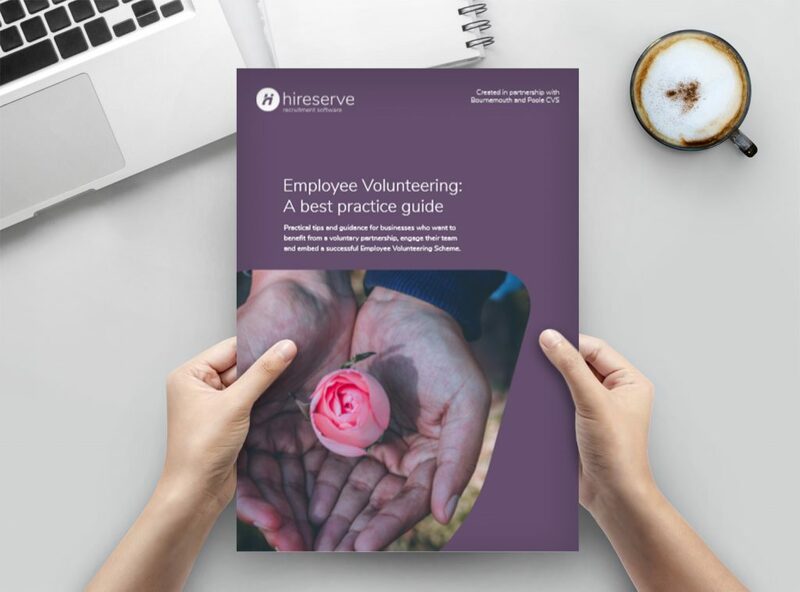 With two guides, created for both businesses and voluntary organisations, download practical advice and guidance to enhance employee volunteering for you.